In NYC, A jogger runs along the Coney Island boardwalk. Coney Island is known for its amusement parks. 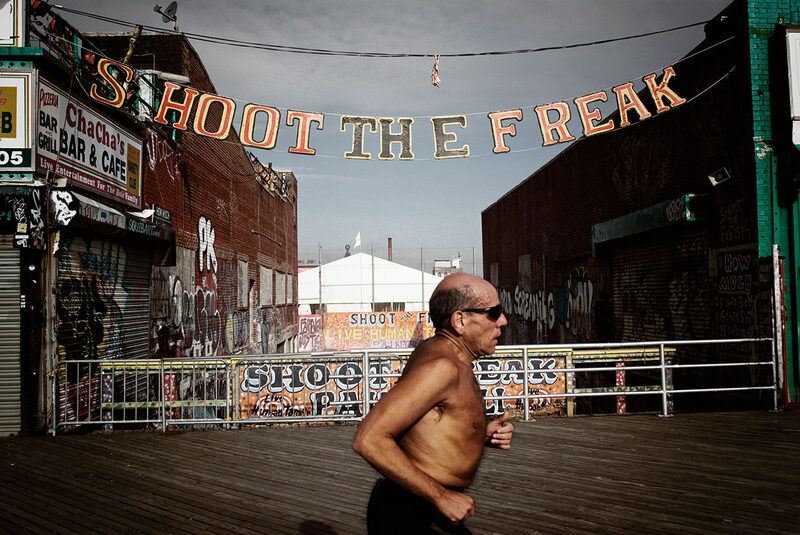 A man is running shirtless on the Coney Island boardwalk, along the seafront. Coney Island est connue pour ses parcs d’attractions. Un homme court torse nu sur la promenade de Coney Island, longeant le bord de mer.